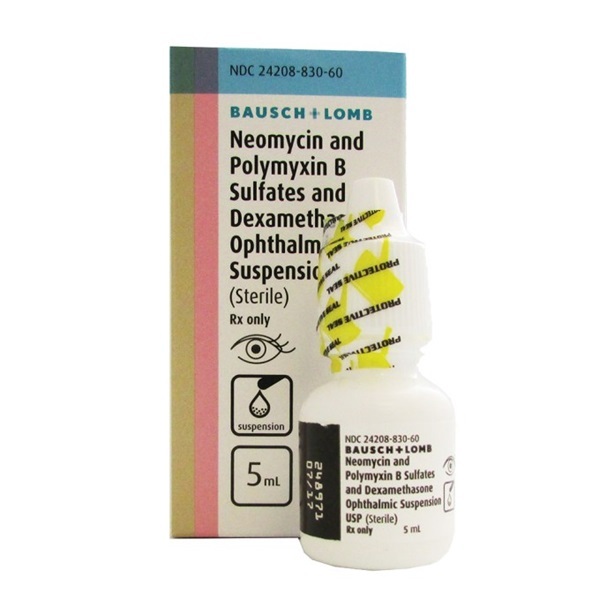 Sterile Neomycin, Polymyxin B Sulfates, and Dexamethasone drops in a 5ml dropper bottle. Manufactured by Bausch & Lomb. NDC: 24208-830-60. Comes as singles. .